Troy Schumacher is a soloist with New York City Ballet, one of the most prestigious dance companies in the country. And while a job as a full-time athlete might be enough for some people, Schumacher is also the artistic director and choreographer for his own chamber-sized troupe, BalletCollective. All of its members are Schumacher’s fellow dancers at NYCB. Schumacher and his team took care to thoroughly investigate how the two disciplines could come together for a final project. “We discussed how our respective disciplines are organized, how we record our work, how we make changes to our work as we go, and how our respective practices overlap,” said Arnaiz. It’s not unusual for architecture and dance to go hand in hand. Just last year, Steven Holl created set pieces for Jessica Lang Dance, while the Guggenheim Museum frequently holds performances in its iconic rotunda. But these dances coexist with built architectural elements—not so for BalletCollective. Instead, Schumacher chose to feature the dancers in a stripped-down environment. The stage at the Skirball center was entirely bare, with curtains lifted to reveal the dancers waiting on the sides, and their costumes were casual rehearsal wear. Until they started moving, there was no indication of the evening’s architectural component. For his part, Ramsey entered the collaboration unsure of what to expect. “I had little to no idea about the creative process for dance,” Ramsey said, “and I was completely blown away by how naturally our processes were able to mesh. Our conversations had to do with the life and death of human spaces, renewal, and the idea of tension as a dramatic architectural design tool.” Here, though, Schumacher might have picked something up from his collaborator. The start-stop energy of his choreography makes it nearly impossible to establish dramatic tension. Arnaiz’s contribution involved one specific drawing, resulting in The Answer, a duet for Anthony Huxley and Rachel Hutsell. 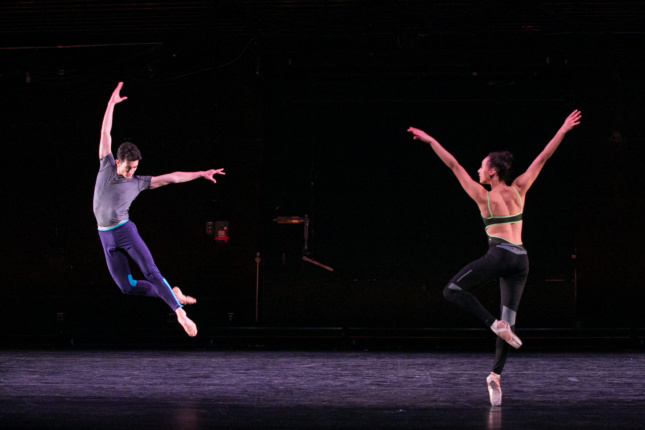 “Choreographers are always looking for new pathways,” said Schumacher. 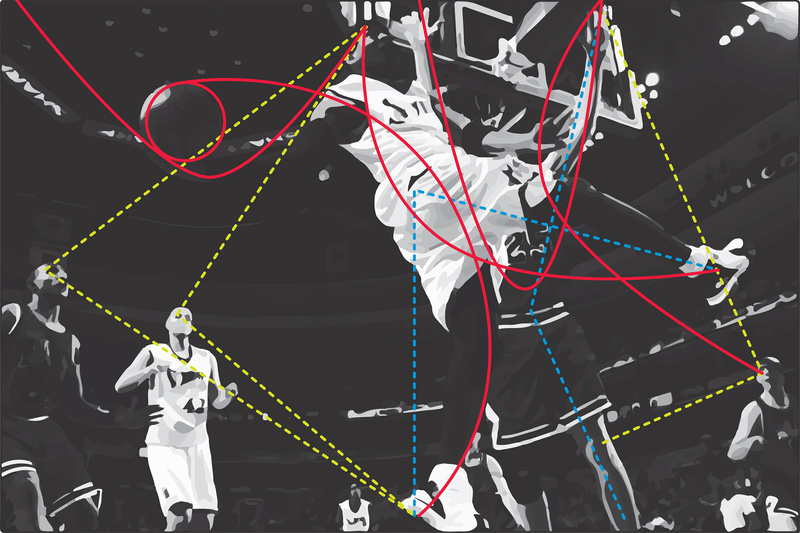 “Carlos emailed us a sketch on top of a photo of Allen Iverson. I was floored by the energy and idea behind it, and we just went with it.” Arnaiz wrote about Iverson in his recent monograph, reflecting on how static geometric forms are brought to life by the creative process of architecture. As a result, The Answer plays off friendly competition. Huxley is an elegant dancer who, while still able to have fun, is quite serious onstage. Hutsell, who is just beginning her professional career, might be expected to be timid, especially dancing with Huxley (he is several ranks higher than her at NYCB). Instead, she’s remarkably grounded for a woman dancing in pointe shoes, which can complicate quick direction changes and off-balance steps. She eats up space with infectious energy. The dancers’ darting limbs seem to leave trails of lines and spirals across the stage, reminiscent of Arnaiz’s drawing. Fall 2017 season to be announced late April.